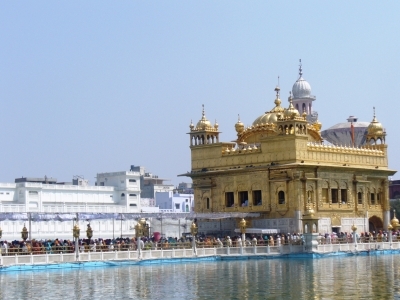 The Harmandir Sahib (Punjabi: ਹਰਿਮੰਦਰ ਸਾਹਿਬ), also Darbar Sahib (Punjabi: ਦਰਬਾਰ ਸਾਹਿਬ, Punjabi pronunciation: [dəɾbɑɾ sɑhɪb]) and informally referred to as the "Golden Temple" is a prominent Sikh Gurdwara located in the city of Amritsar, Punjab, India. 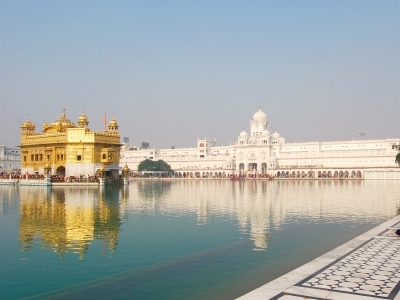 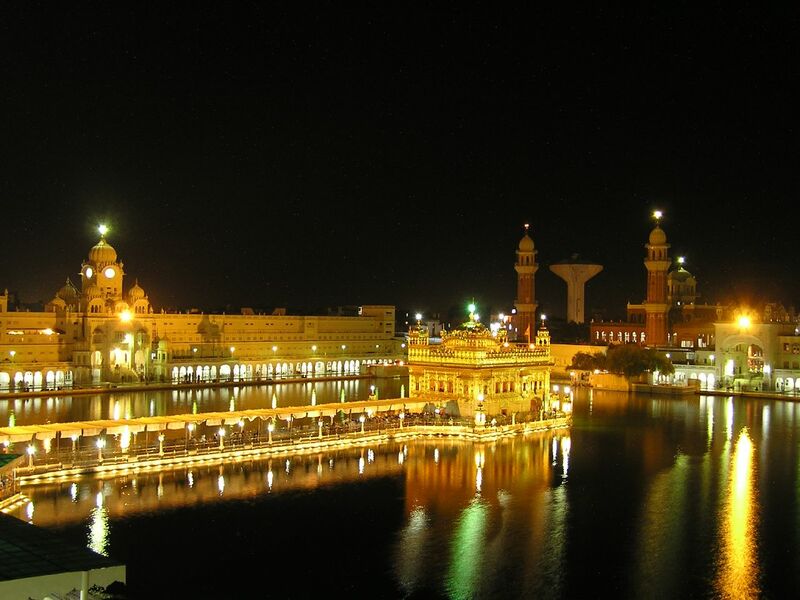 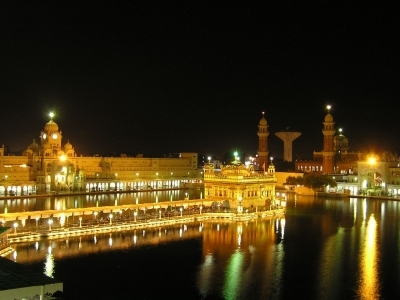 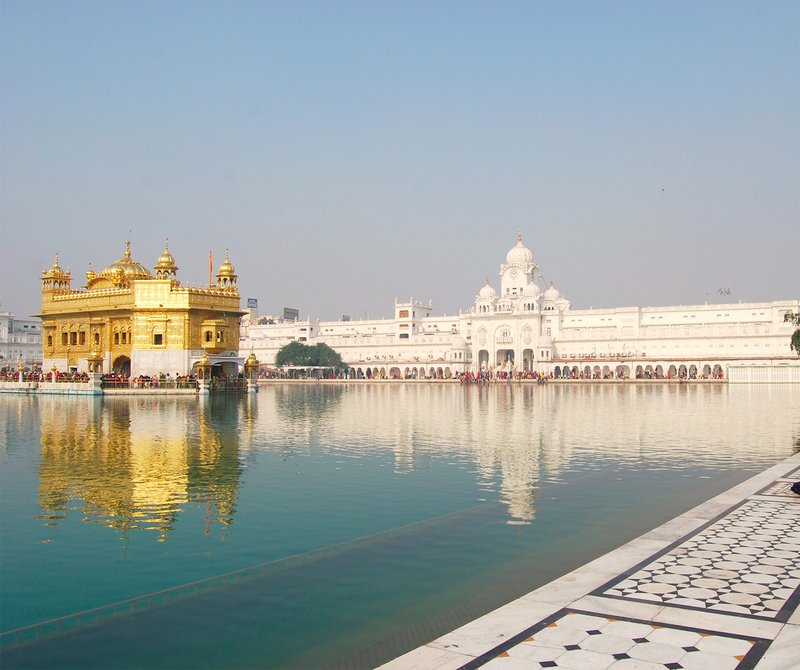 It was built by the fourth Sikh guru, Guru Ramdaas Sahib Ji, in the 16th Century. 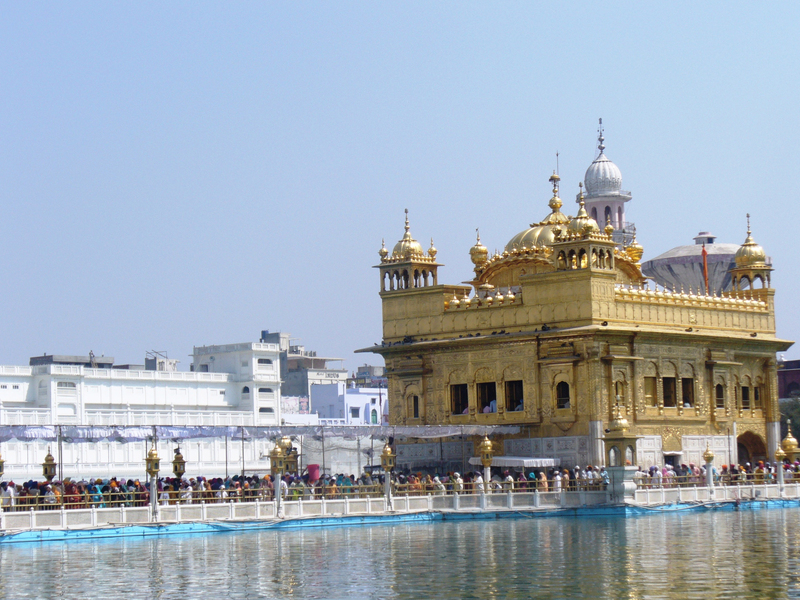 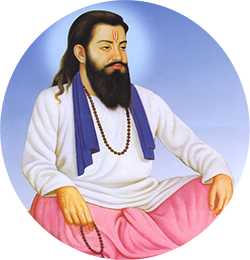 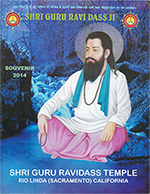 In 1604, Guru Arjun completed the Adi Granth, the holy scripture of Sikhism, and installed it in the Gurudwara.